Get Justinmind’s new iOS 8 UI library now to boost your mobile app prototyping and create amazing iOS designs in no time. Download free now! UI designers work long hours to ensure that the experiences they craft surpass user expectations every time. How do they do it? With the help of UI kits and widget libraries. UI kits improve designer workflows by saving them time, ensuring design consistency and enabling collaboration across teams. What would we do without them? In today’s post, we’re taking you through Justinmind’s latest iOS Widget library (v.8.0). 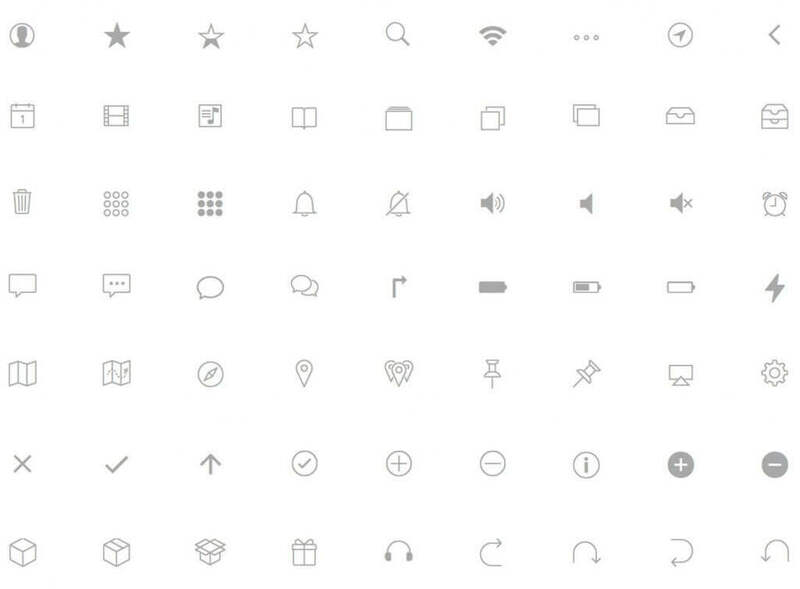 Our iOS 8 UI library includes over 400 pre-built iOS icons and widgets. Download it now and start building awesome web and mobile prototypes for iOS! When designing for iOS, your designs are required to meet high quality and functionality expectations. This sounds daunting, but luckily there are resources out there to lend a hand. For instance, UI icons. Designing with pre-built UI icons helps ensure that your web and app designs are usable and meet industry standards. Justinmind’s iOS 8 widget library contains a full set of UI icons, including buttons, widgets, checkboxes, progress bars, and navigation buttons. These UI icons will help you implement familiar standards and ensure that your web and mobile designs are iOS-consistent. Our iOS 8 library is pre-loaded in the latest version of Justinmind to help you get started. Browse all of our prototyping UI libraries here. Bars – bars contain contextual information that tell users where they are, how to navigate pages and trigger actions. Content views – content views contain app-specific content and enable behavior such as scrolling, insertion, deletion, and rearrangement of items. Controls – controls perform actions or display information. Temporary views – temporary views give users important information or offer additional options and functionality. UI kits and icons are a great time saver when designing for operating systems iOS and Android. But sometimes you need customize icons or change controls for custom apps. If your UI kit isn’t tailor made to fit your requirements, you’re stuck. No need to worry. If you need to tweak any of Justinmind’s, go right ahead. With Atomic-design technology, our icons can be customized to build out app-specific content, themes and functionality that support your UI and UX. We’ve even made our iOS 8 graphic icons scalable, so you can resize them without resolution or color loss. Download Justinmind and start prototyping awesome iOS designs now! Sergi specializes in lean user interface and user experience design. He has experience optimizing websites and all types of multimedia applications using the latest techniques in responsive design. Metalhead, game addict, and he’s not a hipster.